The California Asphalt Pavement Association (CalAPA) is a non-profit trade association that has represented the asphalt pavement industry in California since 1953. CalAPA members include asphalt producers, refiners, suppliers, paving contractors, equipment manufacturers, testing labs, consultants and others who make up the industry in California. Click HERE to learn more. CalAPA conferences are only possible thanks to the generous support of our many sponsors and exhibitors. Click HERE to view a list of our 2019 Spring Conference sponsors and exhibitors. There is no better way to publicize your product or service, and meet asphalt industry and agency decision-makers and decision-influencers in California, than by sponsoring or becoming an exhibitor at a CalAPA conference. Click HERE to download the sponsor/exhibitor forms. California State Transportation Secretary Brian Kelly speaking at a previous CalAPA Spring Asphalt Pavement Conference. California Transportation Commission Commissioner Carl Guardino speaking at a previous CalAPA Spring Asphalt Pavement Conference. It's one event packed with information. Hear from top policy-makers and respected experts from across the country on asphalt pavement-related topics that will directly impact your business or your agency now and in the future. This conference is your most efficient and economical way to stay on top of a fast-moving industry. What you don't know can cost you! What will be covered? 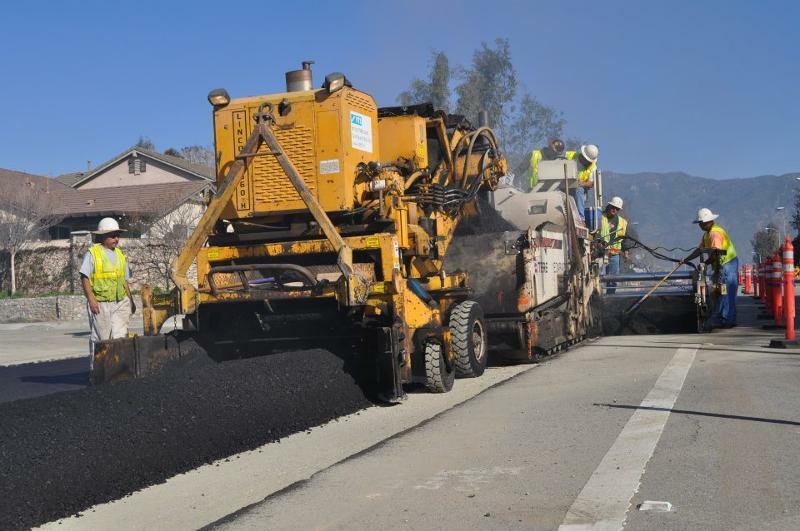 Best practices in Hot Mix Asphalt design; specifications; testing; paving; future trends; new environmental regulations, research projects & the status of evaluations. 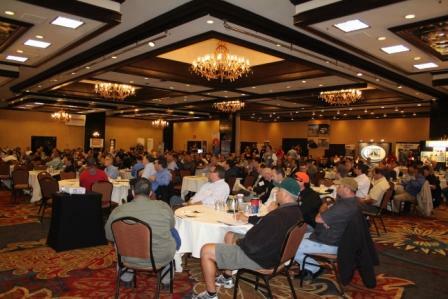 You'll also benefit from in-depth presentations about asphalt binders, how technology is impacting pavement smoothness, and specification changes being brought about in California by state and local agencies. With the passage of SB1, the 10-year, $52 billion Road Repair & Accountability Act of 2017 now being converted into projects, we'll have the latest information on how this will impact your business or agency. Updates on legislation and funding for road construction and maintenance on the local and statewide level also will be featured. A detailed agenda is HERE. Speaker biographies are HERE. Who should attend? Paving contractors, asphalt producers, suppliers, refiners, estimators, engineers, inspectors, consultants, public works representatives and anyone with an interest in asphalt pavements or road construction. It's also a networking bonanza! About 250 people are expected to attend the conference. What else is happening at the conference? By popular demand this event will feature booths by various companies that offer products and services to the industry. Also back by popular demand this year will be a gala reception and equipment expo ! Our attendees tell us this is a great way for them to get an up-close look at the latest equipment and technology in a fun and relaxed setting. Our exhibitors tell us this is a must-attend event and the best way to target the asphalt pavement industry and agency personnel. Who's on the agenda? Our invited keynote speaker is San Diego County Board of Supervisors Chairwoman Kristin Gaspar (pictured at left). She will discuss the county's ambitious "Building Better Roads" initiative, which places a heavy emph asis on innovation and sustainability. She will also discuss transportation funding and other matters of interest to the asphalt pavement industry and agency personnel. Also on the program is new Caltrans District 8 (Riverside & San Bernardino counties) Director Mike Beauchamp (pictured at right), who will discuss the Caltrans road-improvement program and the impact of SB1, the Road Repair & Accountability Act of 2017, which is generating more than $5 billion a year for transportation improvements. ASPHALT PAVEMENT 101: CalAPA has arranged to have one of our most popular instructors, former Caltrans materials engineer Roger Smith (pictured at right), teach his informative "Asphalt Pavement 101" class ju st prior to the start of the conference. This class will take place on Wednesday, March 20 from 8 a.m. to noon at the Doubletree Hotel in Ontario, site of the conference. This class is $139 for CalAPA members and agency personnel ($179 for non-members), and can be added on as an option during the Spring Conference registration process or as a separate registration. For those attending both the conference and the training classes, a special discounted rate is available. Food will be provided. This is a convenient and cost-effective way to access one of CalAPA's most popular training classes! ESSENTIALS OF PAVEMENT SMOOTHNESS: Back by popular demand, noted expert Mike Robinson (pictured at left) will be teaching an optional "Essentials of Pavement Smoothness" class in the afternoon immediately following Day 2 of the conference. The California Department of Transportation is implementing major changes to its pavement smoothness specifications, so this will be the best way to get the very latest information on the new requirements, as well as best practices and other tips from an experienced pavement consultant. This optional event is $139 for CalAPA members and agency personnel ($179 for non-members). Attendees at the four-hour class will receive a reference book and handsome certificate of completion. This class can also be added on as an option during the conference registration process or as a separate registration. For those attending both the conference and the training classes, as special discount is available. How much does it cost? CalAPA conferences remain one of the great bargains in the industry. CalAPA members and public agency representatives who register by Friday, March 8 pay just $209, and non-members are just $259. There's ample free parking for attendees, and a complementary airport shuttle for hotel guests. There are numerous sponsorship and exhibitor opportunities, including reserving a coveted spot on the event's trade show floor. Contact Sophie You at CalAPA for details at (916) 791-5044. A sponsor-exhibitor form with all the details is HERE. What about lodging? There are a limited number of rooms reserved at the Doubletree Hotel at a special discounted rate of $159 per night for conference attendees. Click HERE to go to a special Doubletree web page to reserve your room, or contact the Doubletree directly at (800) 222-8733 (if reserving your room by phone, reference the three-letter discount code "LAP") . These discounts apply to the arrival date of "March 19, 2019" and the departure date as "March 21, 2019". The discounted rooms go fast so early reservations are strongly recommended. Rooms must be booked no later than March 4TH (or until block of discounted rooms are sold out) to receive this special conference rate. "It was one day with a lot of information." "Numerous opinions from a diverse field." "The technical presentations on specific projects were great." "Various perspectives, fast-paced, nice facility, good speakers. A great, timely event. Thank you!" "Facilitated very well -- stayed on time."